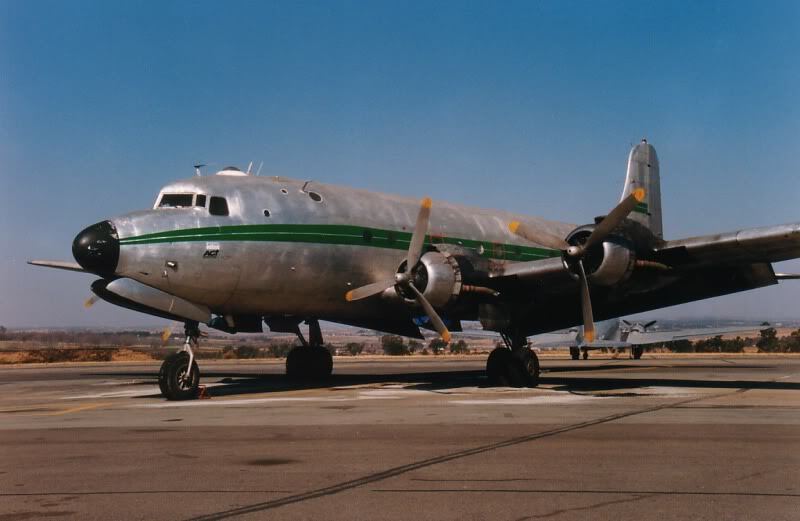 Douglas C-54D-15-DC started her career as 43-17242 with the USAAF on 21 September 1945. She moved to Europe, to join the Royal Danish Air Force as N-242 with 721 Squadron on 12 October 1959. She was released from the military and returned to the USA as N4988V for STS Enterprises Inc, being bought in July 1978. On 20 December 1978, the aircraft was bought by Canadian Millardair and was registered as C-GRYY. The aircraft was stored at Davis Monthan Air Force Base in December 1978. During March 1991 she flew the long stretch over the North Atlantic to begin a new career in Africa. The registration was changed to C9-ATS for Interocean Airways. 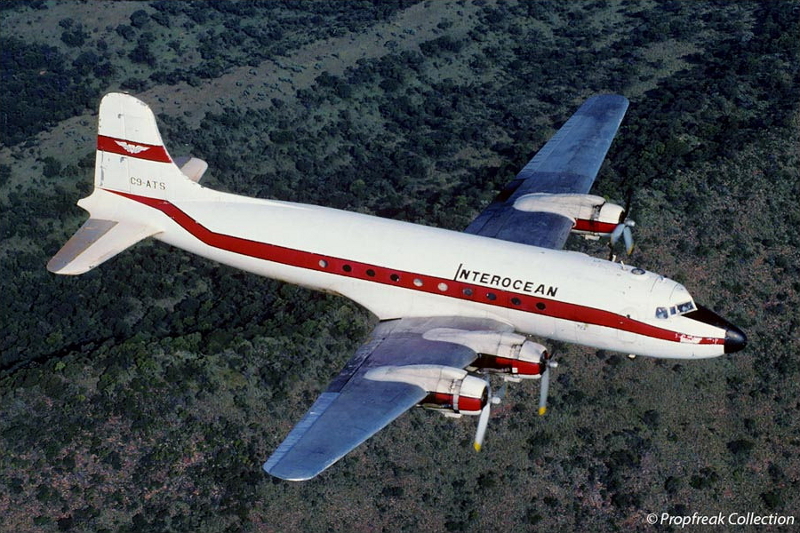 She was later registered EL-AWX for Interocean Airways during June 1997, but ended up being stored. 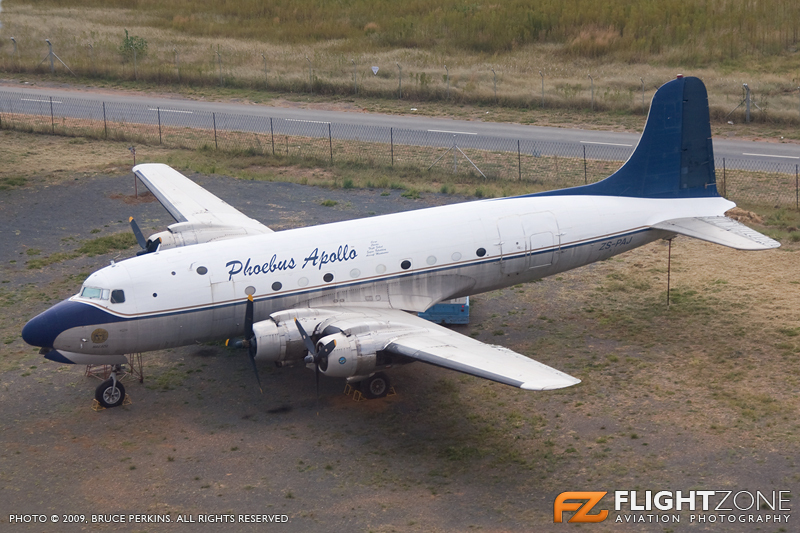 Phoebus Apollo Aviation bought her in January 2000 and she was registered ZS-PAJ and joined the other Phoebus Apollo aircraft. 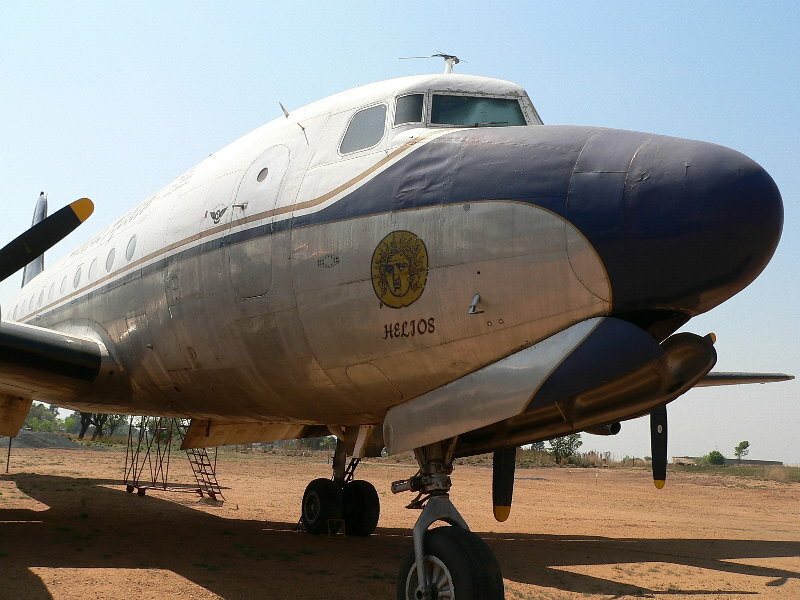 On 12 January 2006 Hennie Delport, one of the owners of Rand Airport, agreed, to donate ZS-PAJ to the South African Airways Museum Society . 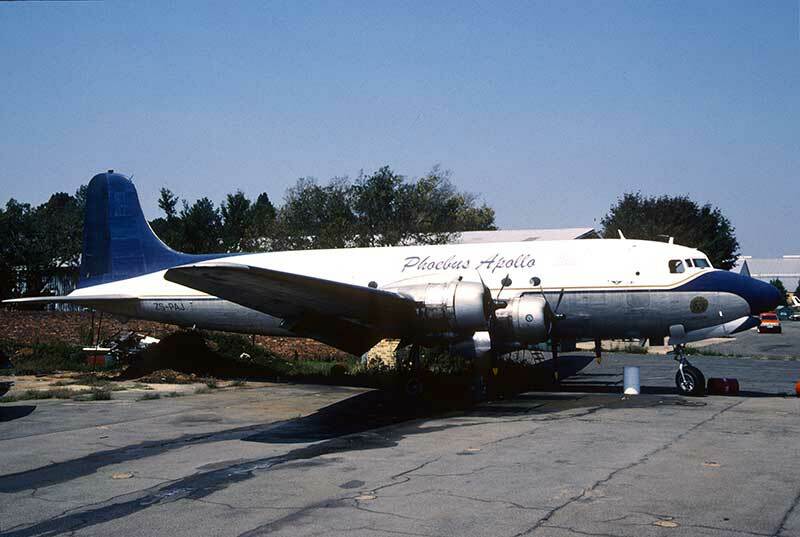 One of the stipulated conditions was that the aircraft remained in Phoebus Apollo livery in perpetuity.